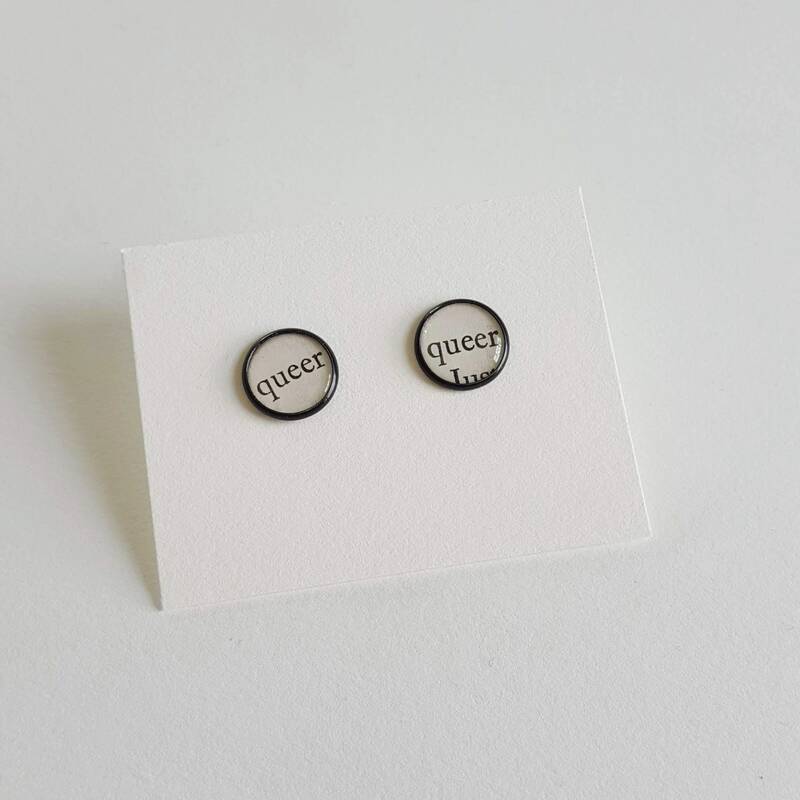 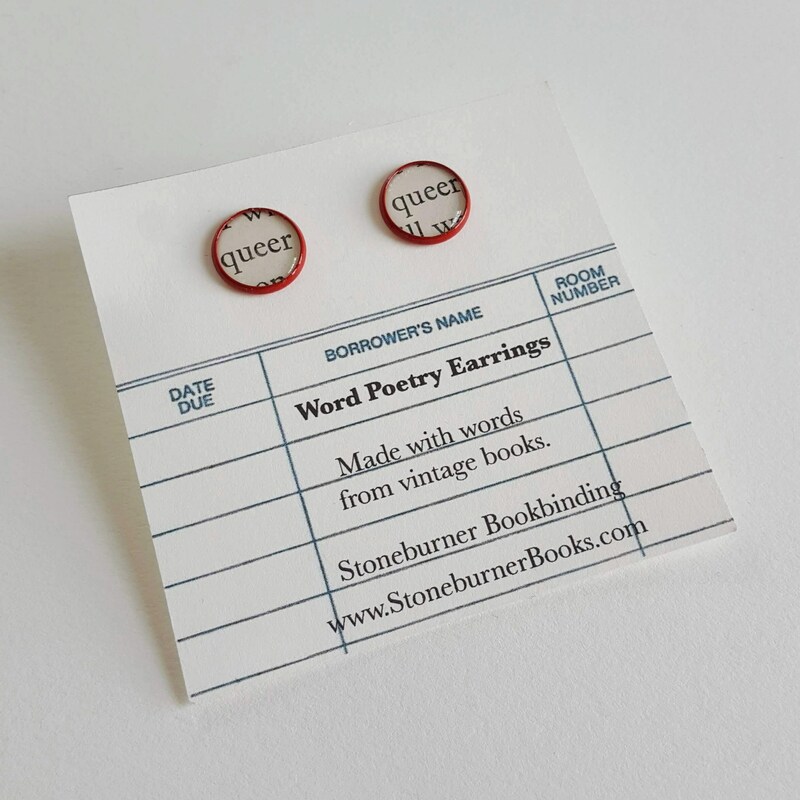 Super cute earrings made with real words from vintage books. 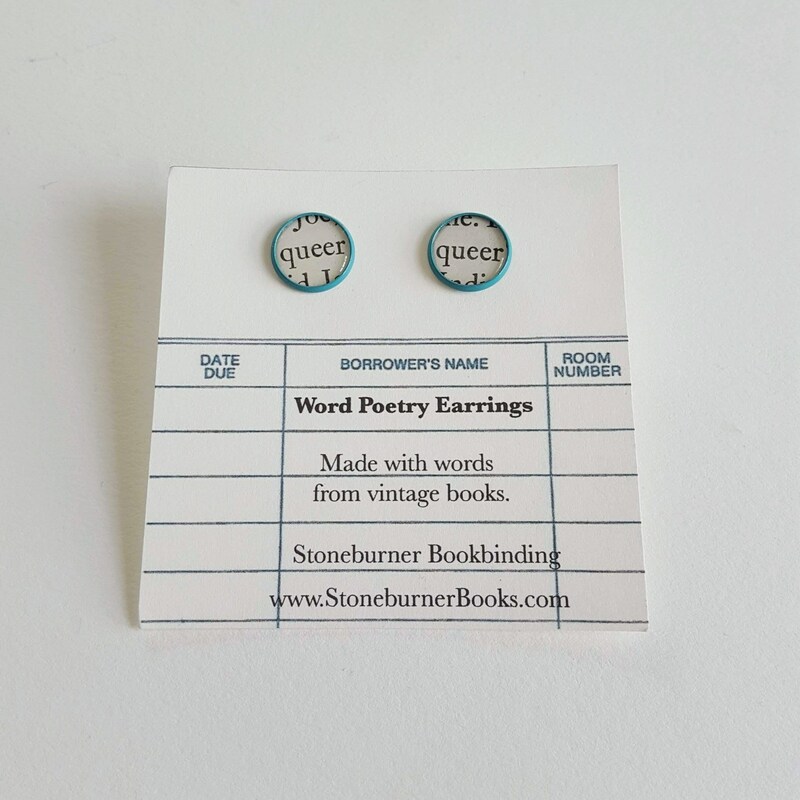 The perfect gift for the writer or book-lover in your life or for treating yourself! 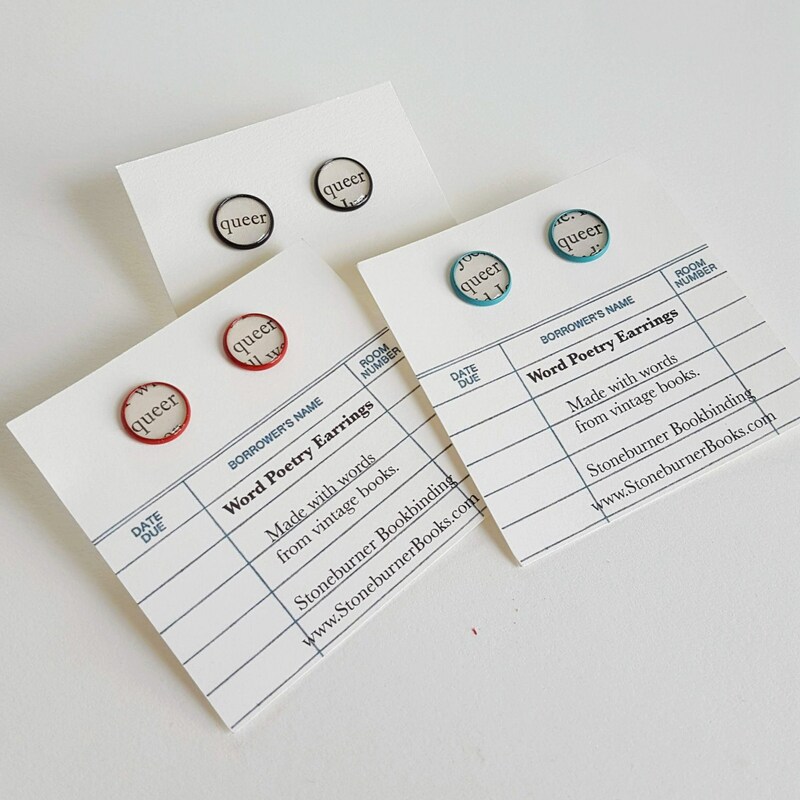 - Choose your finish: red, turquoise or black coated. 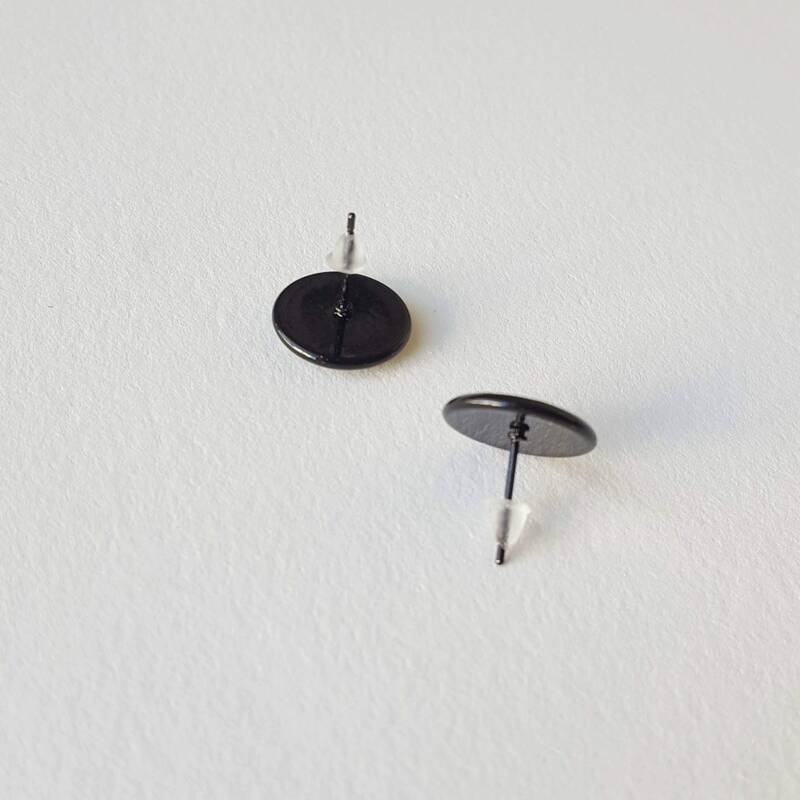 All finishes are lead- and nickel-free.